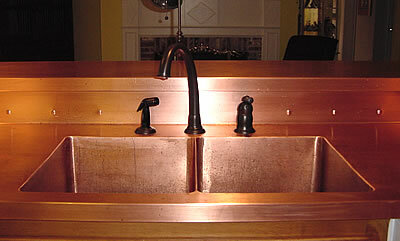 The browser you are using does not support this plug-in. 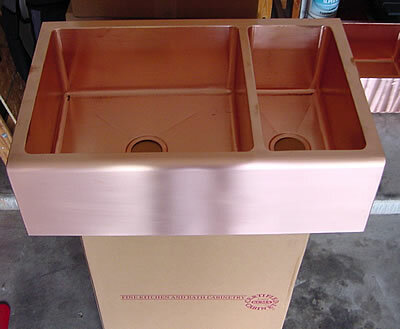 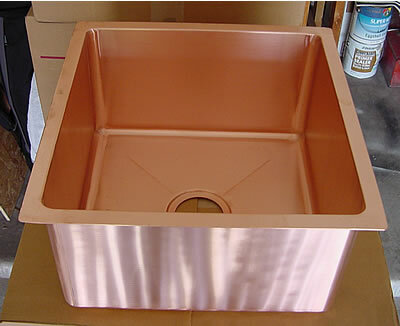 CJ Design Kitchen Sinks use 48oz or .062 thickness of copper to provide a Copper Countertop and sink that will last you and your family a lifetime. 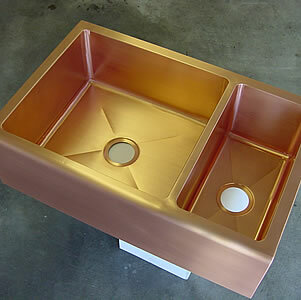 Custom built to the customers over all size and depths. 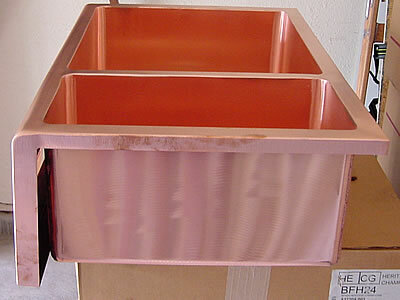 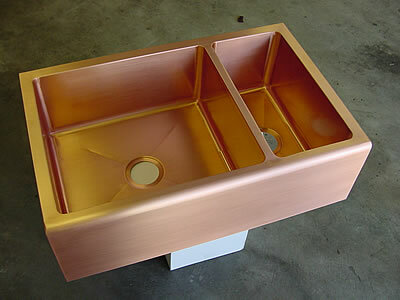 Customers can pick from one or more compartments in their copper sink design. 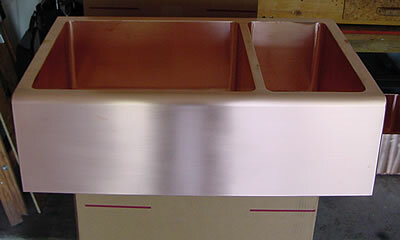 In addition to Copper Sinks, CJ Design Kitchen Counter Tops offers Stainless Steel Countertops and Zinc countertops.